About the writer: Chris Franks from CGuide.com is a writer, professional drummer, and drum teacher who enjoys providing tips and valuable information for online shoppers of drum related products and topics. I read an article by Alva Noë on NPR this morning entitled, “The Habitual Brain: How Routine Action And Thought Are The Structure Of Life”. The article discusses why humans need habits to live fluent lives. One example in the article depicts an individual having to consciously think about every single step s/he takes throughout a day instead of walking from point A to point B out of habit. Noë also states that a habit free existence would be a robotic existence because “it would be [an existence] in which nothing could be taken for granted. But if nothing can be taken for granted, you can’t get started on anything. How could you talk, if you couldn’t take your own fluency, that is to say, your own habitual mastery of words, meanings, and ways of talking, for granted?” A valid case for the importance of habits and yet another reason why I don’t think robotic drummers are the way of the percussive future. As drummers and percussionists, we hear about habits all the time, especially when teaching or receiving private lessons. The coined term, “you need to break that bad habit” will forever linger in our activity. And this is where my inquisitiveness sets in. As percussionists and drummers, we are all too familiar with habit criticism. But the phrases and comments we hear about habits are more often than not presented in a negative context. As a result, those of us in the percussive world tend to shed a negative light on habits. After all, how can you not shed a negative light on habits when common phrases include: “This is a bad habit”, “that is a bad habit”, “stop that – it is a bad habit”, “you really need to work on breaking that bad habit”. But what about the good habits we have? More importantly, what about the great habits we have? Playing in time becomes a habit for drummers and percussionists. Creating good sounds out of percussion instruments becomes a habit for drummers and percussionists. Using body language to communicate with other musicians during a piece becomes a habit for drummers and percussionists. Great musical advertising becomes a habit for drummers and percussionists. Making all of your limbs line up simultaneously while playing drum set becomes a habit for drummers and percussionists. Playing music that is appropriate for the social setting becomes a habit for drummers and percussionists. Listening for rhythmic context clues and matching dynamic levels while playing becomes a habit for drummers and percussionists. 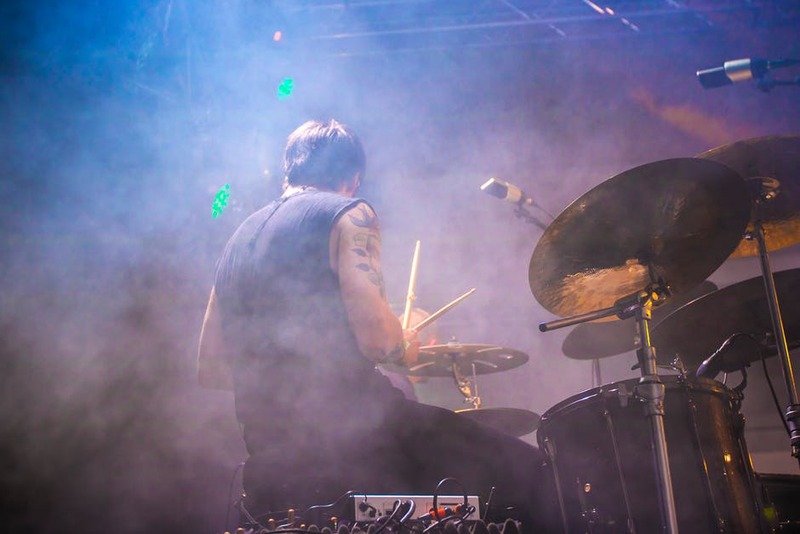 All of the mentioned actions above are GREAT habits for drummers and percussionists. They are such great habits that without them we would all be terrible at what we do! Imagine a world of drummers and percussionists who couldn’t keep time consistently and comfortably because they had to consciously and painstakingly think about perfectly placing every single note during every single beat of every single measure of every single piece. I’m exhausted just thinking about it! Yet, in our percussive world of perfection, we would rather harp on a student’s right-hand pinky coming off of the stick during a buzz roll than acknowledge all of the phenomenal habits that that student has acquired over the years. Interesting, isn’t it? Obviously, it is good to break bad habits and by doing so we improve. However, once we break those bad habits and convert them into great habits, it seems as though the great habits are rarely recognized, praised, or refined. Instead, we acknowledge that the bad habit no longer exists and move on in search for another bad habit to break. Yes, this method is effective. But how much more effective could we, as percussion performers and educators, be if we not only corrected the bad habits but periodically praised, encouraged, and highlighted some of the GREAT habits that have been acquired? What if we took time to refine and further improve our great habits in order to make them superb habits?